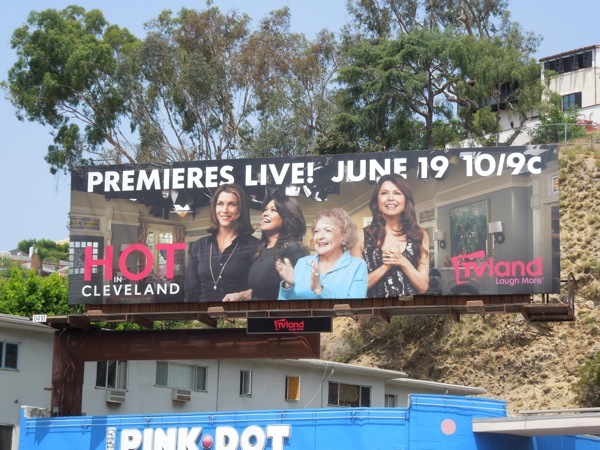 Get ready for some Betty White bloopers as TV Land's first original scripted series returns for a fifth season of laughs this Summer and the first episode of Hot in Cleveland will air live, which always makes for an exciting prospect (especially when one of your leading ladies is 91). Let's see how the veteran TV star, along with Wendie Malick, Valerie Bertinelli and Jane Leeves, fares when anything can happen as the cameras keep rolling. 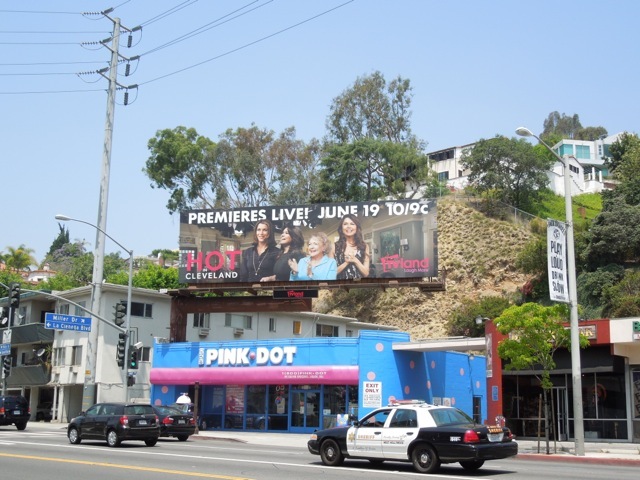 This billboard which gives you a teasing glimpse behind-the-scenes of this live studio audience sitcom was snapped along Sunset Boulevard on June 8, 2013. 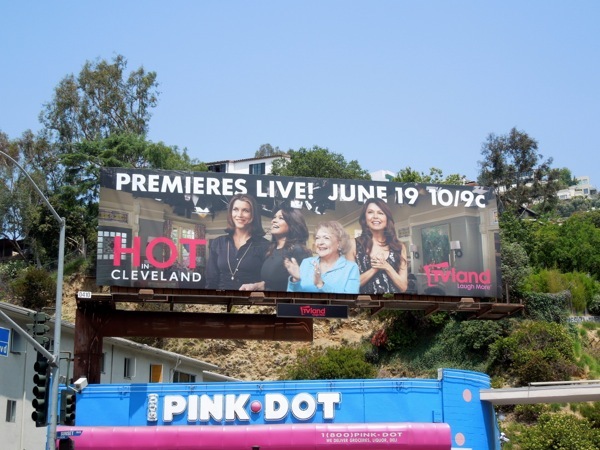 If you're a fan of the show, be sure to click through check out these previous season billboards for Hot in Cleveland.